A New Approach To Postpartum Depression: Mom Mentors : Shots - Health News Postpartum depression and anxiety are common among new mothers, but few talk about these feelings. A Florida nonprofit is hoping to break the cycle by pairing new moms with moms who've been there. Mothers helping other mothers through the challenges of postpartum depression and anxiety makes Florida's mentoring program unique. Becoming a mother is often portrayed as a magical and glorious life event. But many women don't feel joyful after giving birth. In fact, according to the American Psychological Association, almost 15 percent of moms suffer from a postpartum mood disorder like anxiety or depression, making maternal mental health concerns the most common complication of childbirth in the U.S. And even though these mental illnesses affect millions of women each year, new research shows 20 percent of mothers don't disclose their symptoms to healthcare providers. "Many women feel hesitant discussing their emotional difficulties, especially when they're experiencing symptoms of postpartum depression and anxiety," says Sarah Checcone, founder and director of The Postpartum Society of Florida. The Sarasota-based non-profit organization is testing out a new way to support struggling mothers and their families by offering a mother-to-mother mentorship program known as SISTER (Self-Image Support Team and Emotional Resource). Volunteers are mothers who've recovered from a maternal mental illness, as well as those impacted by a friend or family member's postpartum challenges. Sister moms seek to build community, creating a safe space. And that just might help women to open up about their difficulties. "Many women falsely believe that admitting they're anxious or depressed is the same as admitting weakness. They may even fear that speaking about their feelings may make them more real. 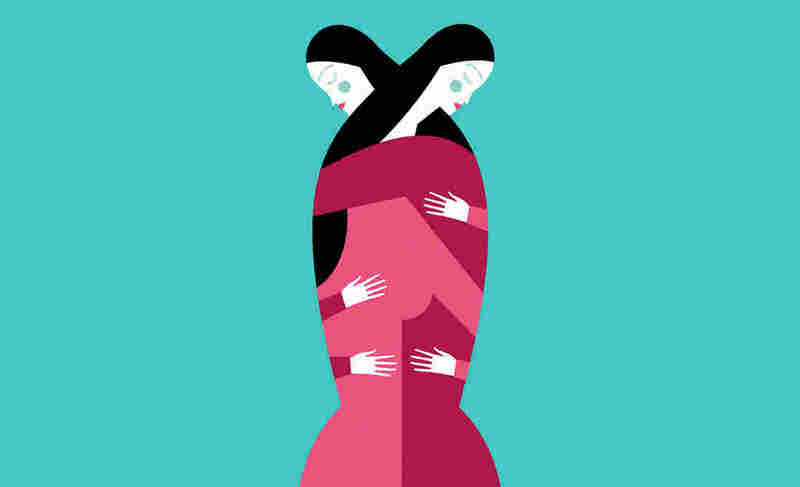 We need to do a better job explaining to patients that anxiety and depression have nothing to do with being a 'bad mom,' " says Dr. Alexandra Sacks, a psychiatrist in New York City, specializing in maternal mental health and reproductive psychiatry. Postpartum depression is not always easy to spot. Symptoms can arise anytime in the first year of motherhood. According to Postpartum Support International, signs of the disorder vary but may include feelings of irritability, sadness, constant worry, and sleep and appetite changes. Mary Lopez, 30, a mother of two in Sarasota, didn't know how to deal with these kinds of feelings after her child was born. "I didn't have anyone to talk to about how lost I felt as a first-time mother. I felt too ashamed to open up," she says. Lopez struggled with nursing. She attended a breastfeeding support group at a local hospital. Luckily the group leader recognized she was anxious and introduced her to Checcone and the SISTER program. "My OB didn't screen me for postpartum depression, but even if she had, I was too afraid to speak up. Without the support of my sister mom, I don't think I would have received help," she says. As survivors of postpartum mood disorders, sister moms are in a unique position to mentor new moms. They share their personal stories and reassure these new mothers that they're not alone and not to blame for their illnesses. They connect with their mentees via telephone or text weekly and meet face-to-face at least once a month. When needed, sister moms also help women find additional psychological resources, like psychotherapy, psychiatry, and support groups. Resilience research shows peer-based programs like these can bolster a woman's mental health. A recent review, published in the journal Child Development, suggests distressed mothers may benefit from ongoing nurturing, especially from those in similar situations. The researchers also found that support from peers and tending to a mother's well-being increases positive parenting behaviors, especially when these supports are integrated into a woman's daily life. "Often, we believe supporting parents means giving advice about what to do for your child. But most mothers don't need parenting 101, they desire authentic connections — ongoing gentleness and support — from others going through similar challenges," says Suniya Luthar, a psychology professor at Arizona State University and one of the study researchers. Yet these close relationships are often difficult to find. While parenthood can serve as social glue, just bringing mothers together doesn't always lead to intimacy and trust. And because these friendships are less intimate and sometimes temporary, women may feel hesitant to discuss their emotional health with new "mom friends." That silence perpetuates the notion that these problems are rare. A recent study published in the journal Maternal and Child Health found social support affects a mother's likelihood of reaching out for professional help. The study includes data from more than 200 mostly white, middle-class mothers who had given birth in the past three years. Participants completed an online survey that asked if they had experienced symptoms of postpartum anxiety or depression and if they had disclosed their struggles to a physician, doula, or nurse. Half of the women surveyed believed they met criteria for a postpartum mood concern. Women with greater support were more likely to disclose their symptoms to a medical provider. However, more than 30 percent of mothers in the study said they lacked a confidant, making it harder for them to talk about their problems. "I was surprised how many women did not report their symptoms. This is concerning because it highlights many moms are not receiving the professional help they need," says Betty-Shannon Prevatt, the study's lead author and a psychologist and Ph.D. student in applied social and community psychology at North Carolina State University. To reach more women, Checcone is expanding the mentorship program by training five mother-mentors in Tampa. The goal is to grow the SISTER program across the state to more than 100 volunteers by 2020. In addition to training sister-mom mentors, Checcone also educates partners and husbands about postpartum mood concerns, reminding them that the illness is no one's fault. She tells them that encouragement, loving care, and helping mom find resources, such as peer and professional support, helps tremendously. For Lopez, the resources at the Postpartum Society of Florida have been a lifeline. "My mentor helped me realize I am not alone. Her kindness allowed me to open up about my agony. These mother mentors are a village of support, guiding me through some of the darkest times of my life." The SISTER program is unique because it offers mother-to-mother support. For struggling mothers seeking this kind of support outside of Florida, Postpartum Support International facilitates mom-to-mom contact with a private Facebook group and provides a toll-free telephone "warm" line staffed by trained volunteers for mothers and families looking for resources in their local areas.